Sometimes it's the little things that make you happy. I taught a Whitewater 101 class over the weekend and it was a big and fun group. The water was high, making it challenging, but the weather hads finally warmed up so no one was too worried about getting wet. Drifting down the river on the second day I found a woman's shoe floating in the water and picked it up. Setting a good example of trash removal for the students. 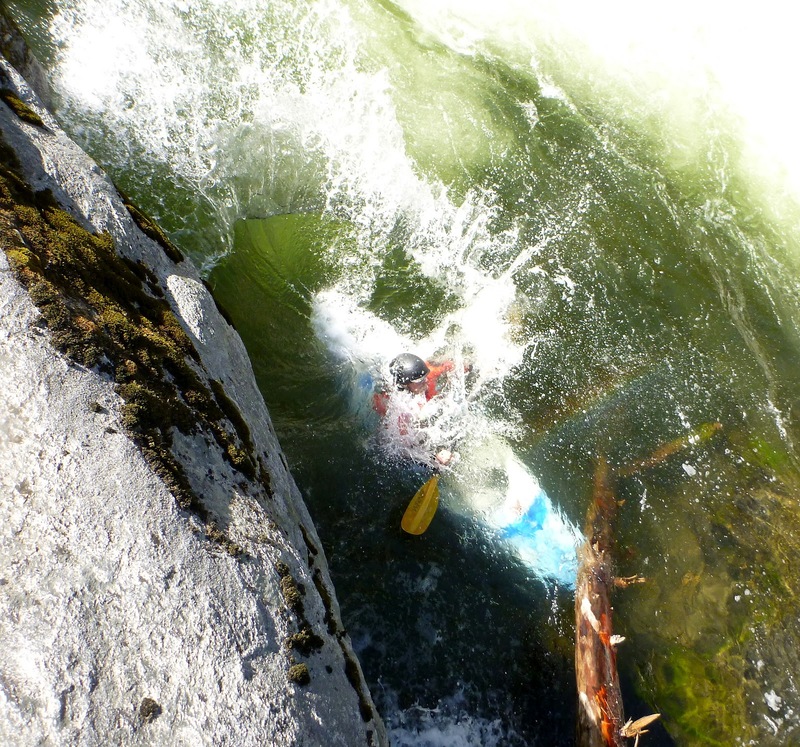 Well, right around the corner, at the next big rapid, all hell broke loose. Multiple swimmers, lost paddles, the group spread all over. After towing a couple different people to shore, rounding up boats, attaining to check on folks and reunite everyone, I looked down to see the shoe was still sitting on my deck. Completely unscathed. (the people were all fine as well). When someone noticed the shoe and asked what I was going to do with it, I said I would award it to whoever had the best line in the next big rapid. A little encouragement is all it took to keep the carnage to a minimum and everyone had clean lines. But some people went left, some went right, so each side had a 'best' line. I solved that one with my river knife and two ladies left with half a shoe and full smiles. A good weekend on the river. It's a common bit of advice that you hear all the time in kayaking when people are shopping for a boat: demo, demo, demo. Everyone advises you to try a bunch of different boats out to really see what you like. Sounds logical enough, but the truth is quite so simple. If you had unlimited time, access to every boat in the world, and a myriad of conditions to paddle in, then demos work great. 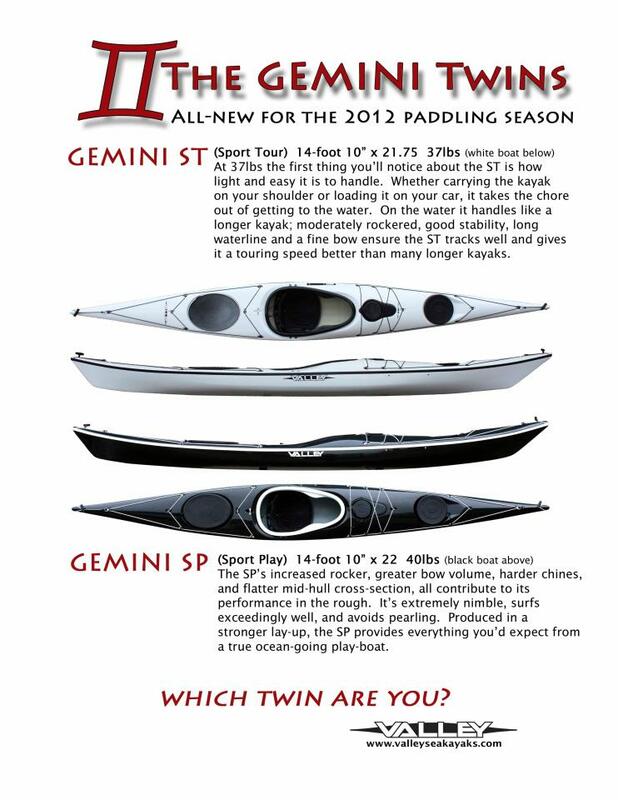 But for most paddlers, especially new ones, demo's have a limited value that people need to understand. For instance, I had a customer on the phone the other day who was asking about a couple different boats. His list of boats to explore was given to him by an outfitter and only had about four names on it. After asking him a couple questions I could easily expand his list of possibilities to a dozen boats that fit his criteria and a dozen more that might actually work great for him. When I mentioned one of those boats he said he had tried it and dismissed it. He had 'sat in it' and it was 'too big'. That particular boat has a composite seat that is designed to be outfitted by the end purchaser - it actually creates a stronger seat platform and allows customization that ultimately makes the boat more comfortable than any off the shelf seat. So he never bothered to try the boat on the water and missed the whole point by his 'demo'. For me, it's all about performance. I can make any boat comfortable if I take a little time (on my Ikkuma 17 I put in a Jackson Sweet Cheeks, glued in some foam hip pads and a little more foam on the knees - too about 15 minutes). But I want to know how it handles and what it can do. And I've paddled enough boats with different characteristics in different conditions to have a pretty good idea of what to expect. 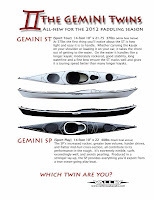 When I saw the first picture of the Valley Gemini, I knew I would like it. When I got to paddle it for five minutes on flat water I knew I loved it. You see, I know what I like and what I'm looking for in a play sea kayak: hard chines, lots of rocker, volume in the nose, symmetrical design. That's the Gemini SP. It also happens to have a comfortable cockpit, but that's just a bonus. Well, our river season is finally here in California. It was a dry, slow winter but we finally ended up with a little bit of a snowpack and temperatures rising to melt it. I taught my first beginner whitewater class of the season last weekend and to follow that up I got out for a little paddling on my day off. We did the N Stanislaus, a nice 7 mile run a couple hours from Sacramento. I've done the run before (at a higher level), and it's only a class IV, but it's the first significant run I've done in about six months. I felt relaxed and really enjoyed myself for the day, but my paddling was definitely a little rusty. It's curious as to exactly what that means, 'rusty', and exactly why it happens. When you're 'off' on the river, it's the little things that get you. In general I was in the right place and moving in the right direction, but I could feel that my timing wasn't perfect on some strokes - I'd be a little late or little early. The very first rapid I got spun out above the crux because I hung on to a bow draw a little long and clipped an eddy. Then I was too slow reacting with a counter stroke that could have corrected me fine. So I went down backwards - but not a problem since I was in the right place. Another time you had to charge right to avoid the hole. But I went too soon and too hard and ended up driving into some rocks and bouncing back into the hole. whoops. Other than timing, my water reading wasn't as sharp as it should be, either. Actually, I could read the water fine, but I just couldn't properly judge its affect on my boat. I think a lot of that comes from spending my time teaching on easier water. When I get on harder stuff it looks so much bigger and faster that I expect it to push me around. But it generally doesn't. I would plow through curlers just fine, or punch holes that I expected to stop me. It's just a matter of calibration that takes some time to get used to. The other aspect of teaching that throws off your paddling is the nature of running rapids. When leading beginners down a simple rapid you become aware of every possible hazard, every tiny ripple or seam, and do your best to avoid or minimize them. You get very skilled at the finding the easy way, but that isn't what you always want to do when having fun. Once you know what you're doing it's fun to boof the hole instead of avoiding it, to surf the wave instead of pointing straight down through it. It's a different mindset that takes an adjustment. But, in spite of being rusty, I did have a great time. I nailed some lines perfectly, I survived all my mistakes and did some quick corrections. I felt much more comfortable and aware of my boat and the river by the end of the day. I'm ready for the season to begin.